Just thought I'd post this photo. Worked for me. All your stunning photos make me so homesick! Gotta love the beautiful, under-rated island state! Thanks so much for the gorgeous reminders. It's interesting that the rainy cold view is the one that you comment on like that. 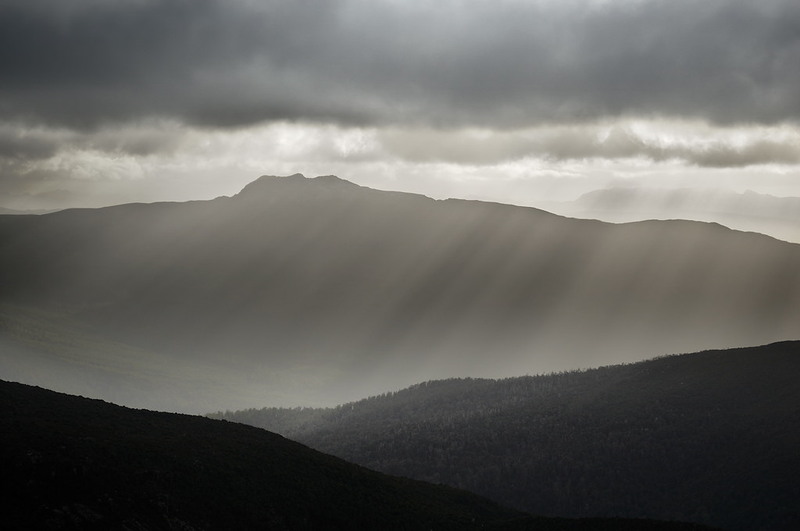 I find that while it's always nice to be out in good weather, some of the best views are in the more changeable and typical Tassie weather, and as long as you're well rugged up, it's great. Billy Connolly said there's no such thing as bad weather, just the wrong clothing.